Material: S.S 304, Copper, Incoloy , seamless etc. Matching up with the ever increasing requirements of the customers, our company is engaged in providing Water Heating Element. Like Copper is widely used for heating in water. It may be surface-plated (with nickel). We supply Water Bidet Heating Elements for Toilets. Keeping in mind the diverse necessities of our clientele, we are involved in offering a wide range of Water Boiler Heating Element. 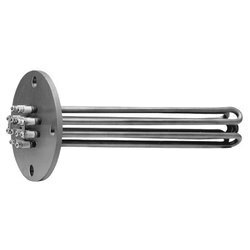 We offer very good quality water heating element to our customer.